1. 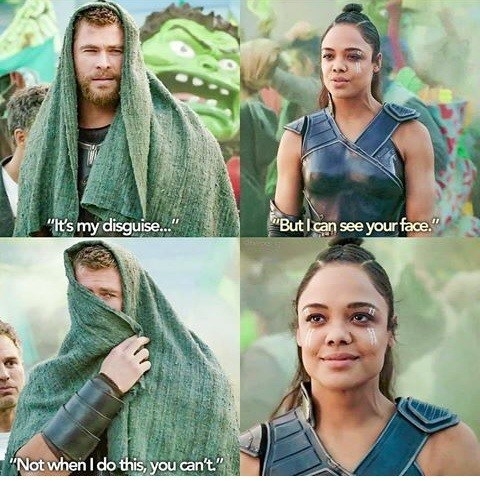 The scene where Thor thinks Loki is paper. 2. This SNL sketch about Thor’s third movie. 3. When Thor retold a childhood story to Bruce and Valkyrie. 4. When Thor dug himself in a hole and tried to get out. 5. When Chris yelled at someone on set for interrupting his scene. 6. 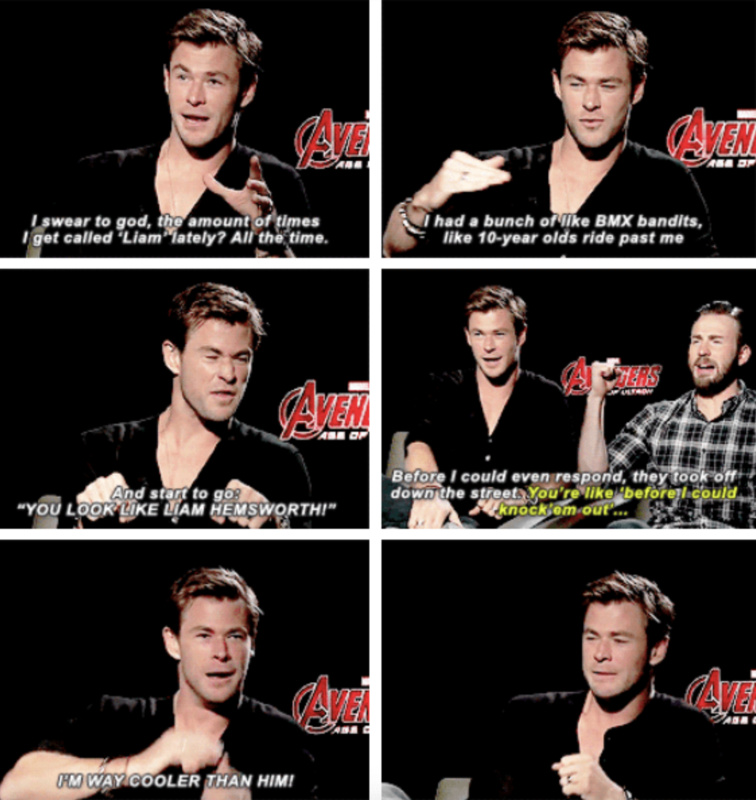 That time Evans and Hemsworth ate Doritos (in reference to Captain America having a Dorito/triangle body shape). 7. All the times Hemsworth claimed parenthood to Chris Evans. 8. When Chris had to change his eating habits for a role. 9. 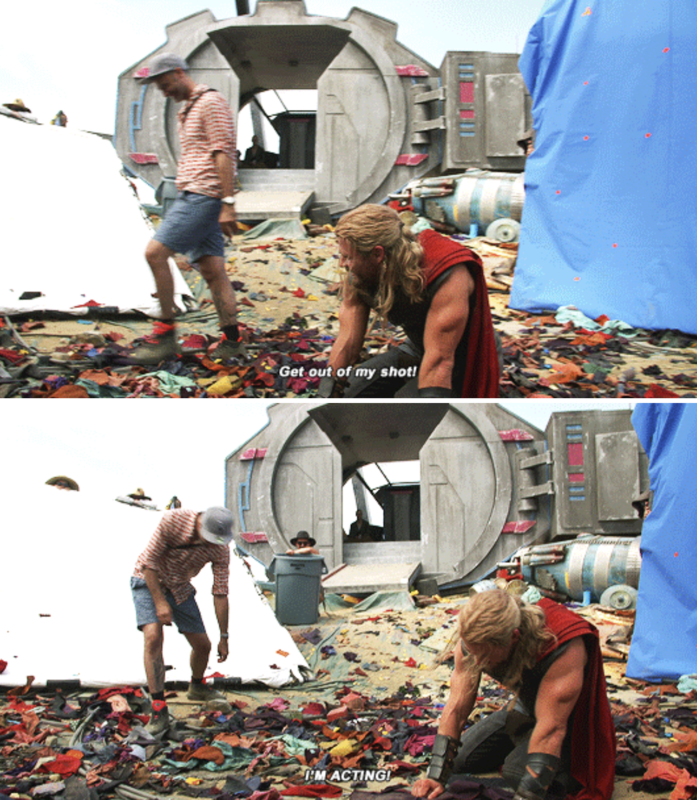 That time Thor knew more about hiding from the paparazzi than Hemsworth did. 10. When Thor took a new role as a couples therapist. 11. 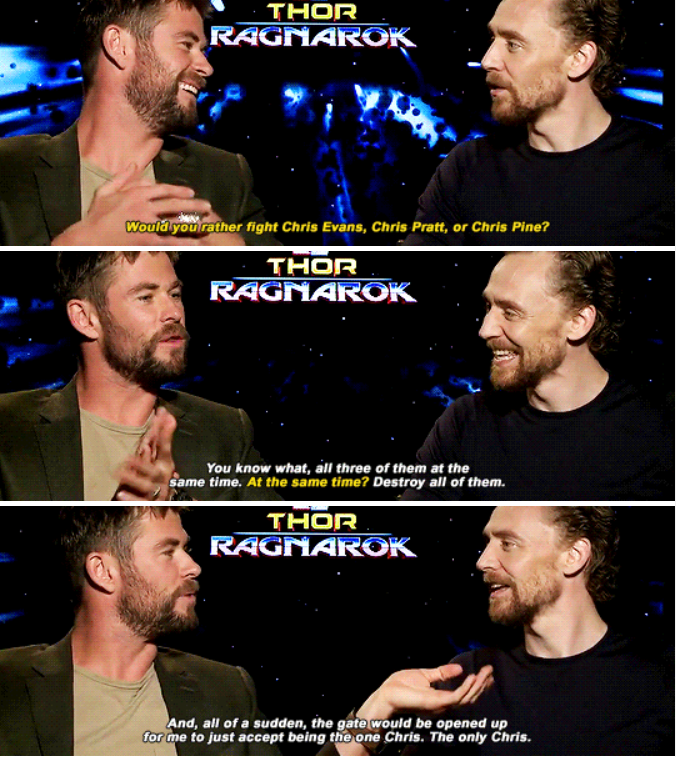 When Chris described how he would conquer all other actors named Chris. 12. 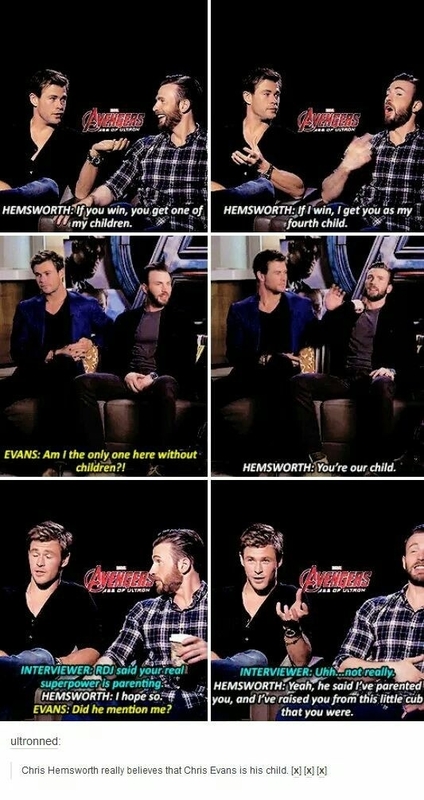 When Hemsworth knew how to properly parent. 13. When Hemsworth and Hiddleston crashed a theater and reenacted a live version of Thor. 14. 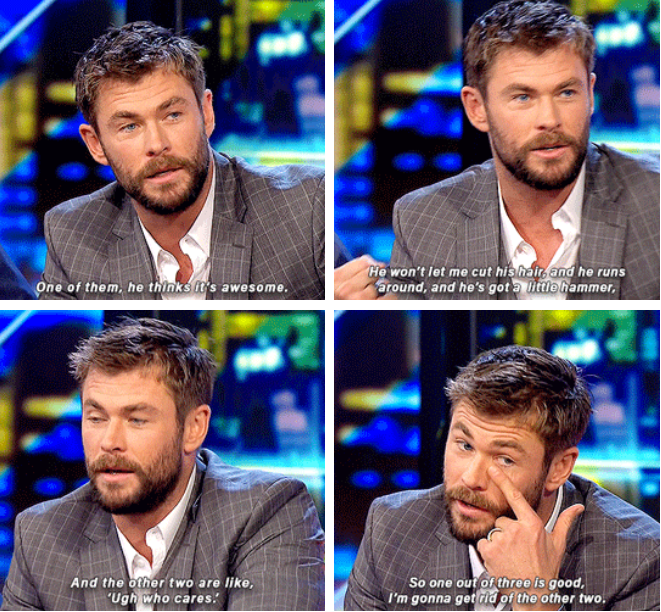 When Chris let 10-year-olds know who the best Hemsworth is. 15. That time he discussed how effective the Thor wig is. 16. 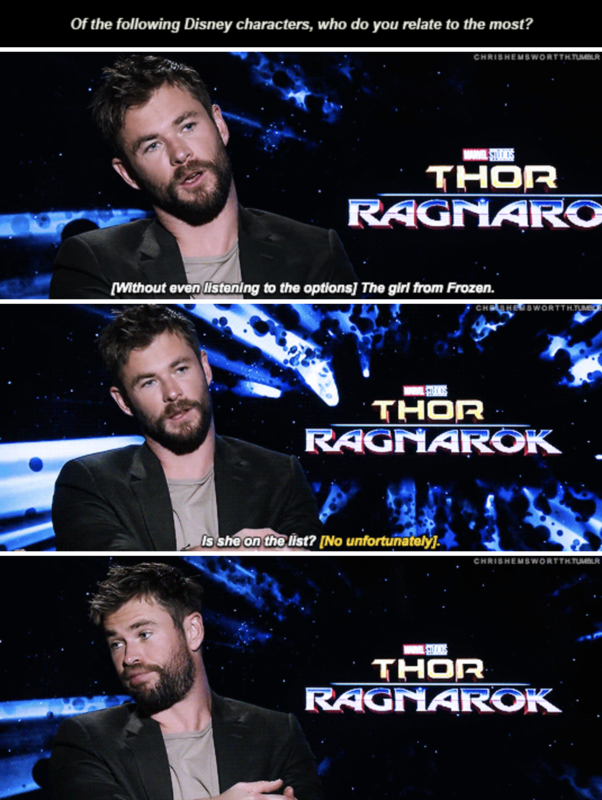 When Chris gave a short summary of Ragnarok. 17. 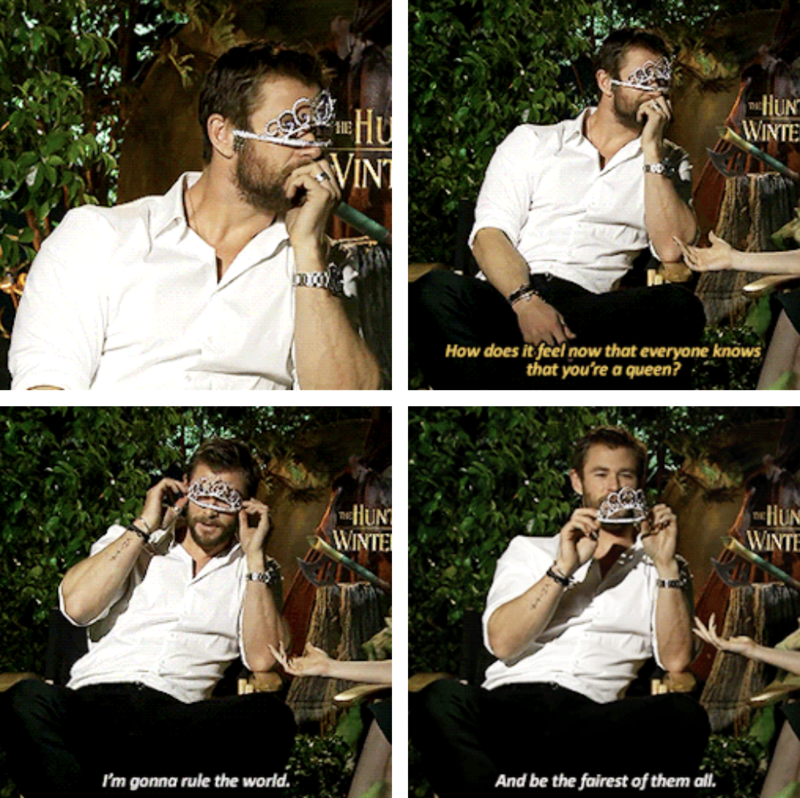 That time Hemsworth went on Kimmel and clarified a few things. 18. That time Chris crashed Tessa Thompson’s interview. 19. When Chris used figurines to show how a fight between the Avengers would really look. 20. That time we got a glimpse of how Thor would function in a normal world. 21. When Chris compared himself to a Disney princess. 22. That time he told the truth on a Huntsman press tour. 23. And of course, that time he created a new Avenger named Captain Australia, and then a Tumblr user illustrated it. Which Childhood Movie Are You Based On Your Random Preferences?